Ok, I am well aware that I have been blowing up the blueberry recipes. It started with the almost homemade blueberry turnovers and then was quickly followed by the blueberry French toast. However, I cannot stop now while the getting is good. I might wager that this is the best one yet! 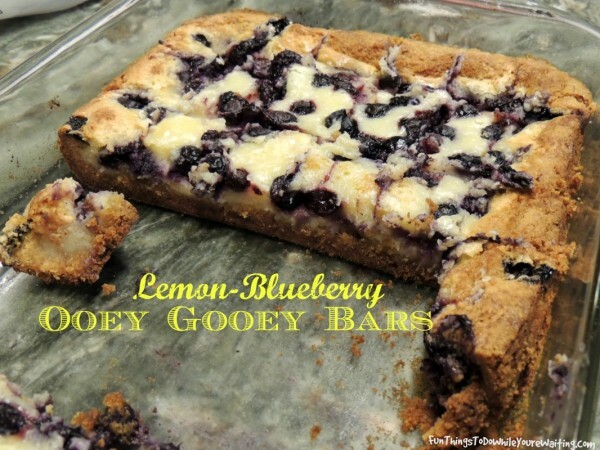 I am not going to beat around the bush any longer- what I have today is blueberry and lemon ooey gooey bars! This recipe appears in my mom’s cookbook but, I do not really remember her ever making them. 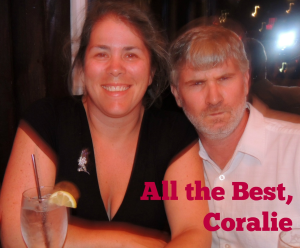 I was introduced to them by my boss at Cosmo’s in Orange Beach. I was so proud to introduce Moma to a new recipe and I think her exact words were “Please! That recipe’s older than dirt!” So, there you have it. My boss did lemon ones, she did strawberry ones and for me, she did chocolate peanut butter ones. 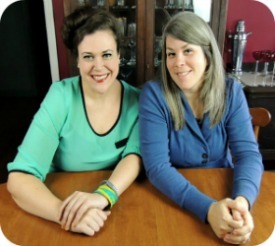 So, this recipe is very easy to personalize to your favorite tastes. I am getting ahead of myself though. Lemon Ooey Gooey bars are Bub’s favorite. And if I am being honest, I do not make them very often because I can’t stay out of them! But, we had a bunch of friends coming to town- and I knew Bub would be so excited. 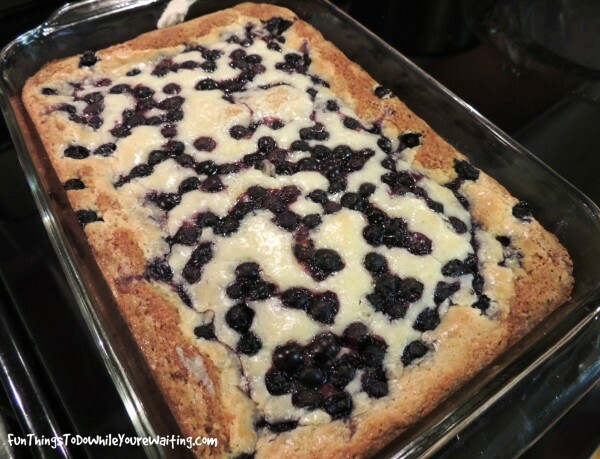 After the blueberry French toast, I knew baked blueberries are awesome, so I decided to up the ante and make Lemon-Blueberry Ooey Gooey bars. 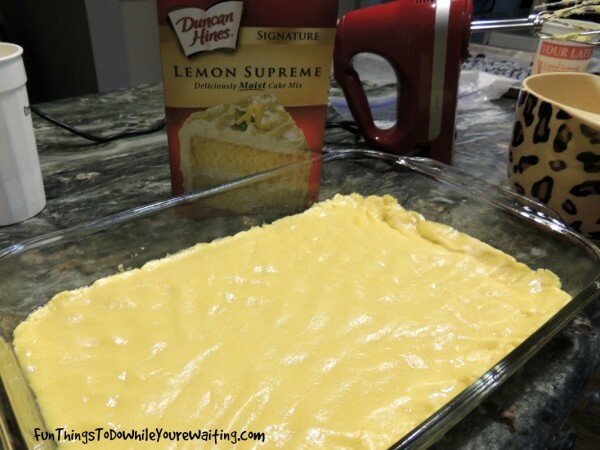 To begin you make the crust and to do that, you need a lemon cake mix. All cake mixes are not created equal- you need one in the 18 ounce range. You combine the lemon cake mix with one stick of melted butter and one egg and just for good measure, some lemon zest- and press this into the bottom of a greased 9×13 Pyrex. For the ooey gooey portion of this bar, you need to beat together a softened 8 ounce package of cream cheese, 2 eggs, a 16 ounce box of powdered sugar, a stick of butter and a teaspoon of vanilla and the zest of pretty much a whole lemon. Once it is nice and creamy, you pour it over the crust. And this time, I sprinkled blueberries all over the top. Bake this on 350 F for 40-50 minutes. Your house will smell divine! When it comes out of the oven, the center will be soft, but it will firm up as it cools. I am telling you, Dear Reader, this recipe is a homerun knocked out of the ball park! It is a crowd-pleaser. They will be begging for seconds and some to take home! Yes, it is that good! Yes, it would make you the most popular person at a tailgate party. Yes, it would make you the life of the party at any Friday night social club. Yes, your co-workers would suddenly be able to do whatever you needed. Yes, your Bub Honey would complete the “Honey-Do” list. To make your own variety, change up the flavor of the cake mix and then add which ever toppings you think would best suit the crust. For instance, strawberry cake mix for the crust, fresh strawberries and white chocolate chips in the filling. Or chocolate crust and peanut butter in the filling. I have made ooey gooey bars with orange cake mix for the crust and then added white chocolate chips in the filling. It would be hard to mess these up. Do you have a recipe this is your go-to knock out? You know we want to hear about it! This post can be found where we like to party! Dood. I think I preemptively gained a pound just reading this. This looks like the MOST AMAZING, MOST DECADENT thing ever. 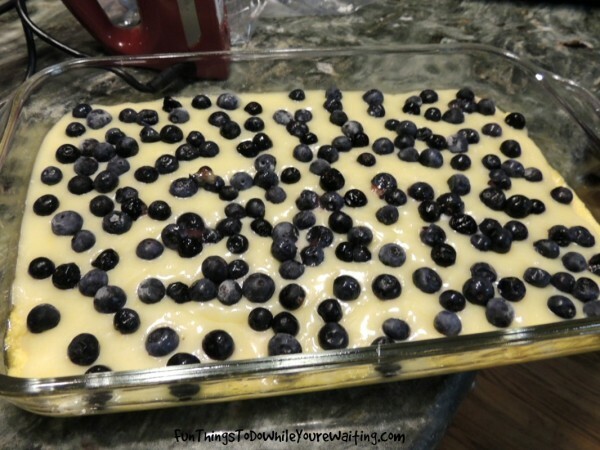 It hits all my favorite flavor cells: lemon, blueberry, cake mix, cream cheese, butter… holy spit. I’m almost afraid to make this.